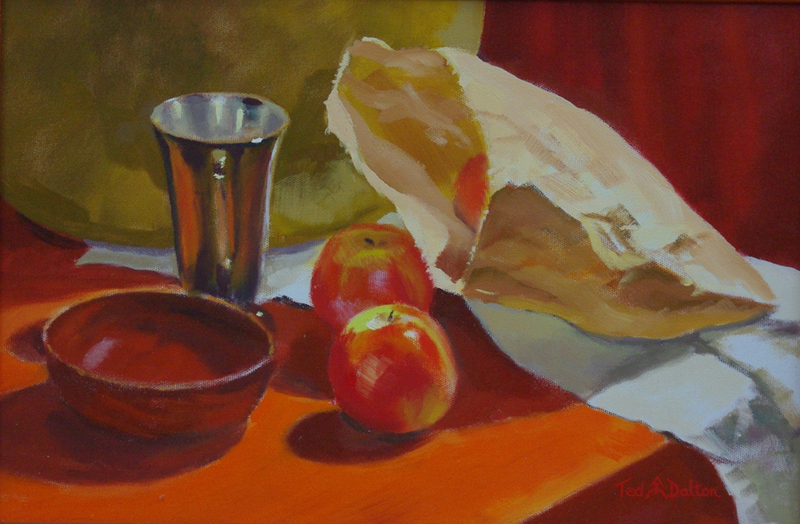 Ted Dalton – Diamond Valley Arts Society Inc.
From childhood I was interested in drawing. I used to copy from photographs, usually of film stars on the front pages of a magazines which my sister had. Initially it was just pencil sketches, then later I used watercolour. I came from Liverpool, England in 1965. I had a house built in Greensborough. Worked as a Research Chemist with Kodak in Coburg. I had previously worked for Kodak in the UK. 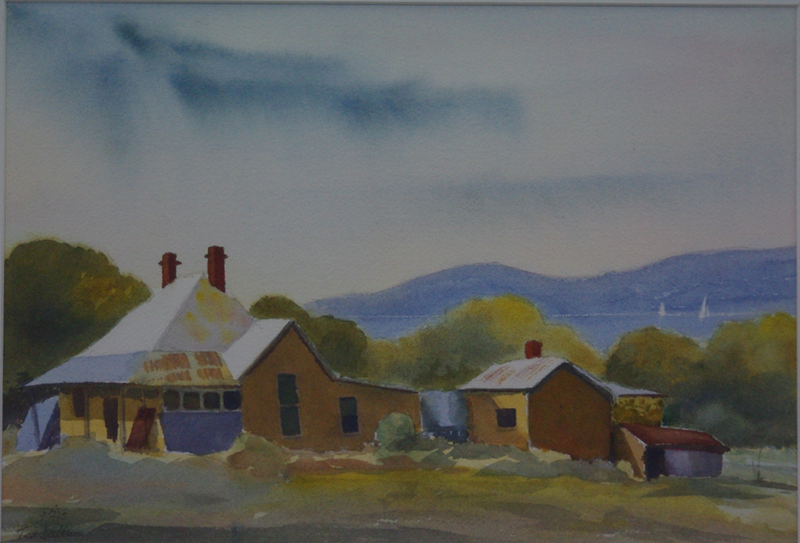 In 1970 I saw a notice in the Diamond Valley News about a group forming an art society. I went to that meeting and joined. A few names I remember from that time are: Ron Reynolds, Digby Watson, Alan Sartori and Marian Bruere. The committee decided that an exhibition would be organised and every member had to submit two pictures, which threw me into a panic as it was so long since I had done anything. One I did was a geometric pattern, the other a foggy painting of cowled figures floating through a landscape. This latter one must have gone into a school fete as years later when I was having my first exhibition at St Margaret’s Church Hall, a lady asked me if I was Ted Dalton. I said yes, then she said I had changed my style. She was the proud owner of that foggy painting. I took painting lessons from Leslie Sinclair at Montsalvat (1974 and 1975) then from 1976 to 1979 with Bill Caldwell. 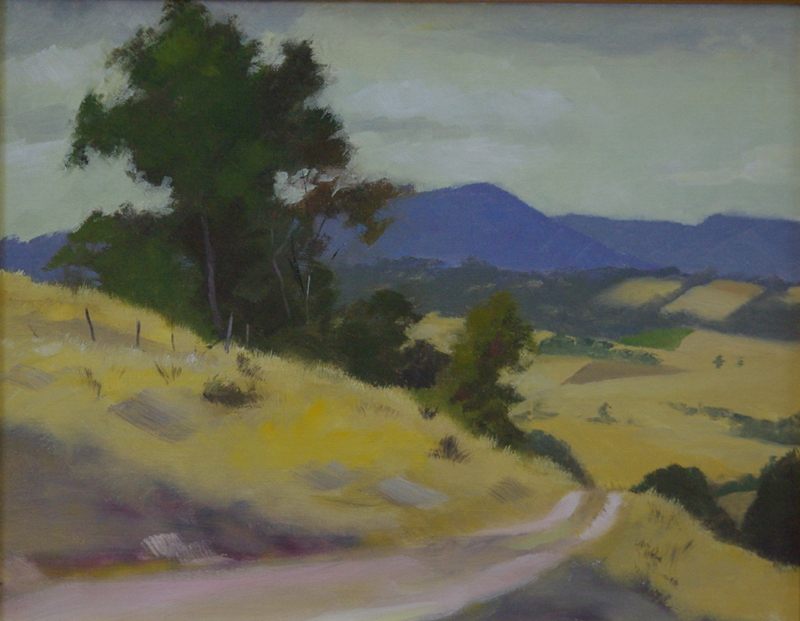 I had my first exhibition at the Victorian Artists Society in 1982, a second in 1984 and a third in 1991. I retired in 1996 and sold up in Greensborough and moved to Porepunkah early in 1997 where I had a holiday home. I converted a large car port into a large studio and for many years ran painting classes for U3A group. I sold that house four years ago then rented in Bright for two years before moving back to Melbourne late in 2013, where I now live in a Retirement Village in Northcote. I rejoined DVAS and am participating in life drawing classes that I have always enjoyed.